Jesse Manalastas Robredo is the Secretary of the Interior and Local Government in the administration of President Benigno III but let’s kindle his life story as for a citizen like me who is not much familiar with politicians. Let’s be truthful about this, we only knew the personality whenever he does good or something bad happen and as for Secretary Robredo’s case, his death is tragic. Jesse Robredo is born on the 27th of May, 1958 in Naga City with a father of Chinese immigrant named Lim Pay Co who later changed his name as Juan Lim Robredo for it’s a Chinese custom to use the godparents name at baptism when converting into Christianity. Robredo excels in schools for he has finished as a scholar as Masters in Business Administration at the University of the Philippines Diliman, Quezon City in 1985. Moreover, he is an Edward Mason Fellow and a graduate of Masters in Public Administration at the John F. Kennedy School of Government, Harvard University, Cambridge Massachusetts in 1999. He worked at San Miguel Corporation in 1980 in the Physical Distribution Technical Services of the General Services Division and to the Finance Division. Then, he was transferred at Magnolia Ice Cream (SMC subsidiary) to logistics. When he decided to go back to his hometown in 1986, he became Program Director of the Bicol River Basin Development Program and because of his excellence in region’s development; he was elected as the mayor of Naga City in the year 1988 and cited by the Asiaweek Magazine as the Most Improved Cities in Asia. Robredo was elected to lead the League of Cities of the Philippines in 1995 and also voted to be the chairman of Regional Development Council and he also chairs the Metro Naga Development Council since 1995. He became the Secretary of the DILG ( Department of Interior and Local Government )when President Noynoy Aquino named him as the Interior Secretary in the year 2010. He obtained 14 major individual awards including the 2000 Ramon Magsaysay Award for Government Service (Asia’s version of the Nobel Prize). He is also a trustee of Synergeia Foundation, a national group for education governance reforms, a member of the Liberal Party of the Philippines, and a prime mover behind the Kaya Natin!, a national movement about leadership in the country. Secretary Robredo is married to Atty. Maria Leonor “Leni” Gerona-Robredo with three daughters – 24-year old Jessica Marie or Aika, 18-year old Janine Patricia, and 13-year old Jillian Therese. Leni said she drew strength from their three daughters – 24-year old Jessica Marie or Aika, 18-year old Janine Patricia, and 13-year old Jillian Therese. His death this 18th of August, 2012 had a resemblance with Ramon Magsaysay’s death (March 17, 1958), a plane crash. Secretary Robredo boarded at Piper Seneca airplane from Cebu City to Naga City but due to engine failure, the pilot has decided to have an emergency landing at Masbate City’s airport but crashed off in the shore of Masbate Island. Search operations were done by Philippine Coast Guard, Philippine Navy, Philippine Air Force, and the local government of Masbate. His body was found 2,600 feet off Masbate at 180 feet deep. Imagine how deep is that? His remains will be in Manila on August 24, 2012 and there will be public view schedules as cited on www.gov.ph. 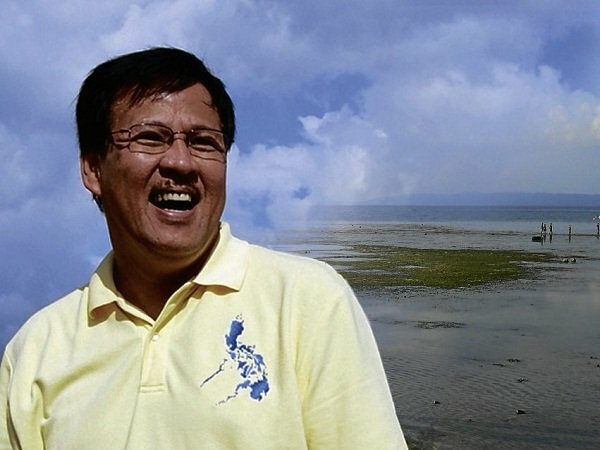 and the Naga City has decided to be a Jesse Robredo day every 27th of May – his birthday. This entry was posted in News and Entertainment and tagged Jesse Robredo day, Jesse Robredo death, Jesse Robredo tragic death, Life of Secretary Robredo, Secretary Robredo. Bookmark the permalink. He was an achiever through and through and the model public servant that we often needed in our society but one that is very rare to come by. Thanks for sharing his life. He was a true inspiration to all of us! I hope this will also serve as an inspiration to all politicians. Jesse as a public servant and a family man, surely it’s a big loss of the Philippines. he is really a man of honor and dignity. Rest in Peace secretary Robredo, thank you for being a good leader and a good example. May he find peace with the Lord. Sec. Robredo’s death is a real loss to our nation. Let us just hope that his efforts will not be in vain. He was given tribute yesterday at the Ramon Magsaysay Awards Presentation Ceremonies. It gave me more insight on his life as a public servant. A man with wisdom. A man with a good heart. We will always remember him forever. I watched his internment on TV. Was deeply moved with PNoy’s eulogy. Yes, it is mission accomplished for Sec. Robredo. But it doesn’t mean that the job is done too. I am really hoping that Sec. Roxas will be able to continue the task that Sec. Robredo started. For me, that is the best way of honoring such a great leader–continuing the legacy he left behind. Sec. Jesse is the exemplar of public service…it will be a long time before we have another one like him. I admire Sec.Jess. Though I haven’t really know him, from what happened the past few weeks and upon seeing the reaction of the country with his sudden death, only proved that he’s really loved.